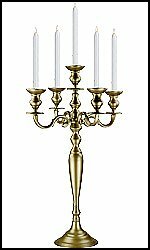 Our Prestige series of candelabras are hand made from aluminum and coated with a commercial coating. 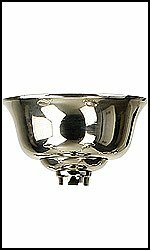 We have two styles including the Elegance Style which has a clear center and our Hierarchy Style which offers a very full look. 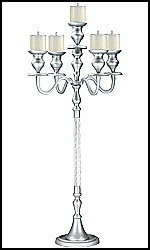 Both styles will hold pillar candles, peg votives or our mechanical candles.